(Phys.org)—Alex Harvey, a physics professor at the City University of New York has uploaded a paper to the preprint server arXiv, in which he claims Albert Einstein and Erwin Schrödinger were writing letters back and forth to one another in a way that indicated that that the two were on the precipice of discussing the possibility of the existence of dark energy. The letter exchange came in the years after Einstein had published his theories on general relativity, and revolved around the matter of the cosmological constant. In his original publications, believing that the universe was static, there was no constant. Shortly thereafter he added a constant to explain the case of the universe expanding or contracting due to gravity – which would cause the universe to revert back to its static state. Subsequent work by Lamaitre and Hubble proved that the universe was indeed expanding however and so to account for this new development, Einstein removed the constant and wrote later that failing to predict the expansion of the universe was the biggest blunder of his career. In letters Einstein and fellow physicist Schrödinger wrote to each other, snippets of conversation appeared to verge on the cusp of imagining the idea of dark energy, a concept that didn't come about until almost a century later. Schrödinger wrote to Einstein suggesting that perhaps the constant could be put on the right side of the equation, allowing it to be a variable under certain conditions. Einstein wrote back asking if he was imagining a scenario where the constant changed with time. 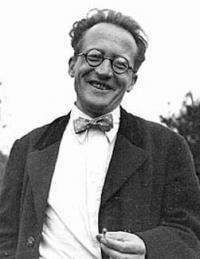 Schrödinger replied back that yes, moving the constant to the other side of the equation implied it could at times be used as a variable. Doing so, both realized would imply that some force was at play – something not covered in Einstein's equations. Einstein scoffed at the idea, writing later that Schrödinger's idea didn't seem possible because it would lead "too deeply into the thicket of hypotheses." Many years later, researchers found that the universe was expanding at an accelerating rate, which has been theorized to be caused by an unknown force called dark energy. Whether Einstein would have changed his mind about which was a bigger blunder is unknown of course, but according to Harvey, the letters between the two men indicated that they were struggling with the very same issues of dark energy as physicists are today, but just didn't realize it. In 1917 Einstein published his Cosmological Considerations Concerning the General Theory of Relativity. In it was the first use of the cosmological constant. Shortly thereafter Schr"odinger presented a note providing a solution to these same equations with the cosmological constant term transposed to the right hand side thus making it part of the stress-energy tensor. Einstein commented that if Schr"odinger had something more than a mere mathematical convenience in mind he should describe its properties. Then Einstein detailed what some of these properties might be. In so doing, he gave the first description of Dark Energy. We present a translation of Schr"odinger's paper and Einstein's response. Is dark energy static or dynamic? Einstein's original "cosmological" constant was supposed to make the the steady-state Universe from expanding one predicted with relativity. Whereas the cosmological constant in contemporary sense helps to accelerate the Universe expansion and it has an opposite sign. A positive vacuum energy density resulting from a cosmological constant implies a negative pressure, and vice versa. If the energy density is positive, the associated negative pressure will drive an accelerated expansion of the universe, as "observed". As observed, yes. That is an indelible part of our most successful theory of the universe, standard cosmology. Many years later, researchers found that the universe was expanding at an accelerating rate, which has been theorized to be caused by an unknown force called dark energy. …. Indeed, it is not difficult to improve general relativity (included the cosmological constant) as below. Then the dark energy (including dark matter) problem could easily be solved, also we could understand and explain the philosophical problem such as how empty vacuum space could be curved, etc. Dark Energy is a misnomer. How can an "energy" produce "extra" space or space-time, or "stretch" existing space or space-time? E equals mc^2, which is given in kg*m^2/s^2. Where d' and t' are change in position and change in time respectively. Energy would then be an inverse squared law with respect to time (where most are with respect to distance). But exactly how to massage that isn't clear without some sort of self-referencial construct anyway. But the point here is "energy" predicts a different structuer than what "Dark energy" predicts. "Dark Energy" is not an energy at all, and actually should have units of an ACCLERATION of a change in volume measured over time. this is because hubble expansion is measuring the change in distance between two points over time, which is the length of the side of a cube as it changes, which is a volume. Dark Energy acclerates hubble expansion...continued.. So on a cosmic scale hubble's constant should be re-written in terms of a change in volume per second per cubic megaparsec. "Change in volume per second per cubic megaparsec...per second." Which is not an energy at all, but has the units required to explain the acceleration of a spacial expansion rate, I think. It's actually nothing like an "energy". If we look at the cosmos, if the expansion of space-time was an "Energy" this would not make sense, because it only has two "distance" dimensions, and one time dimension (but the time dimension is seen twice because you are measuring a change in time over time (yeah). Point is, this does't have the correct units to describe cosmic expansion as the result of an "energy," unless I've totally missed something. But if we divided that out you'd just get the speed of light again, which is useless. So you need more "information" than just the regular energy formula to try to visualize whatever Dark Energy is and what it might actually be "modifying" to produce the observed results. Hubble constant interpretation implies DE is expansion of space-time itself. However, the universe is a sphere. If DE increasing linearly as matter increases outwards then DE is anti-gravity.. Dark energy is a denomination for phenomena, which is the product of light scattering with vacuum density fluctuations at large scales. 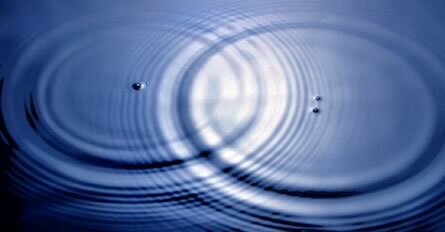 At the water surface we can see, that the ripples are losing their wavelength with increasing speed. It's because the waves are losing their energy (they do exhibit so-called "red shift") and the low energy light is scattered even faster (the red shift becomes reddish with distance). It doesn't mean, that the universe expands with age, because it would lead into increased density of galaxies at the distant areas of Universe (between many other things) - which we don't observe. Energy density of intergalactic universal space is: (mp x c2)/Vp where mp is Planck mass, Vp is Planck volume and c is light speed. Mass and gravity are result of interaction between material objects and energy density of space. Matter and space are coexisting and are indivisible. In my opinion "dark energy" is the energy of universal space itself. You're under the impression dark energy has to follow the rules of what we know of about energy. It may not be energy in the sense we use the term. It just has that name until we know what it is. Its not dark, we are just in the dark about it. We call it energy because it acts as a force on the expansion of the universe. But doesn't have to be any thing like energy that we know and use every day. The same applies to dark matter, other than some effects it does in the universe, most of its properties would argue its not matter as we know it also. It doesnt make sense, and it won't until we can some how study its properties properly. Fascinating how dark energy can lure out the trolls, but they don't actually care for the established knowledge about the subject. @ vm: It is impossible to improve GR as such. You are discussing its application in cosmology, where a cosmological constant appears. It too is self-consistent, so it's highly unlikely it and its constant will be replaced. Improved certainly, but then it is an elaboration. @ Lurker: "Dark energy" is a pun and analogy with dark matter, since we first observed its effect in a loosely constrained manner as negative pressure. It is a useful, descriptice, fun term. …the patch does negative work on its surroundings, because it has negative pressure. Assuming the patch expands adiabatically, one may equate this negative work to the increase of mass/energy of the patch. ... "
[cont] "... One thereby recovers the correct equation of state for dark energy: P = – ρ c2. So the mathematics is consistent. @ Valeria: No, DE is not " the product of light scattering" in the standard cosmology, that is pure nonsense. For what it is, see my above response to Lurker. @ natello: Pure nonsense. Aether was rejected a century ago from observation. Einstein's original "cosmological" constant was supposed to make the the steady-state Universe from expanding one predicted with relativity. You got that backwards: GR predicted that the universe would be collapsing, and Einstein was looking for a force to counteract the collapse to produce a steady-state universe, so he postulated the cosmological constant. Only later, when Hubble discovered that the universe was expanding and hypothesized the Big Bang model, did Einstein reject his own cosmological constant idea. We are just inside a black hole. Anything that falls into it, increases the overall energy of this universal blackhole, and therefore expands it!! It is said that objects that fall inside a blackhole have to have their information conserved, so appear as quantum ripples on the 2d surface of the blackhole. Now combine this 2d surface with the holographic principle, and bingo you have a plausible theory of the universe. There are many universes, all of which are blackholes. Further to this idea, is that if you were inside a blackhole, then light travelling away from the singularity towards the event horizon would be more and more red shifted due to gravity. This is analogous to the visible horizon of the universe, and explains red shifts. Also the cosmic background radiation is supposed to indicate quantum fluctuations at the moment of the big bang, and is a map defining the struture of the universe. This CBR is really the quantum fluctuations on the surface of our universal blackhole and comes back to the holographic principle. I predict from this, that if the CBR is imaged over long time frames, that the image will change in subtle ways, as more information enters our universal blackhole from the universe outside it. Hows that for a wack job theory, but with some plausibility!! You can give me my nobel physics prize now. THANKS!! Dark Matter/Dark Energy is simply the "stuff" that *must* be there, by the results of calculations about the expansion of the universe, but that, until recently, we've been unable to see or measure. Hence "dark." It's not a misnomer, just a simple way to state it since to us, it appears as simply empty space, or "darkness." Anyway, sorry. The statement that "dark energy" was a misnomer annoyed me, after having read so much on it. Too many crackpot theories here. I can't wait till you people die so I can stop skipping over half the comments.